Russian police have prolonged the probe into the tax evasion case involving deceased lawyer Sergey Magnitsky as his relatives refused to talk to investigators. The spokeswoman for the Interior Ministry, Angela Kastuyeva, said on Friday that the investigation into the tax evasion case in which Sergey Magnitsky was a suspect will be prolonged until November 24. 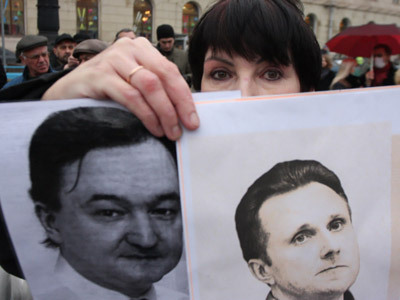 “On September 6, the investigation department of the Interior Ministry received a letter from Sergey Magnitsky’s mother, according to which she considers the arrest and criminal prosecution of her son unlawful. However, this contradicts the Supreme Court’s position, which is that the proceedings on the criminal case must be prolonged until the moment when all close relatives of the deceased make everything clear,” Katsuyeva said. 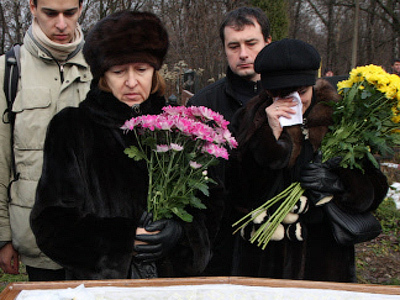 The statement was made after Magnitsky’s mother refused to come to the Interior Ministry for questioning and told the press that she was afraid of the investigators who, in her view, had tortured her son to death. 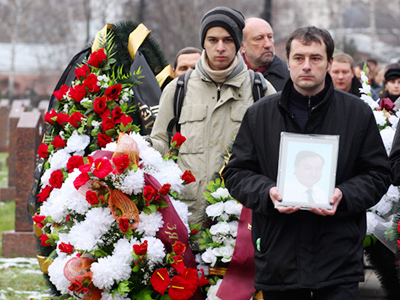 Magnitsky, a 37-year-old lawyer for Hermitage Capital Management Fund, was arrested by Russian authorities on charges of alleged tax evasion, and died of a heart attack while in a Moscow pre-trial detention facility on November 16, 2009. The fund maintained that the real reason for his detention was that he had uncovered a multi-million-dollar corruption scheme involving high-ranking state officials. His family and colleagues also claimed he was abused in prison and deliberately denied medical treatment. 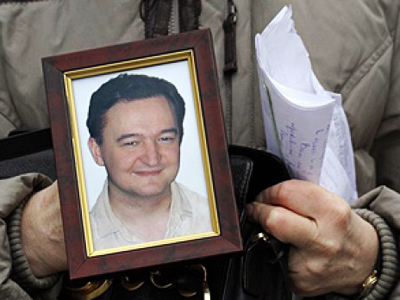 The criminal case against Magnitsky was stopped because of the suspect’s death, which in itself is not sufficient to clear his name, meaning no guilt had been established and neither was he cleared of the charges. After that the constitutional court ruled that the relatives’ opinion must be taken into consideration when a case is stopped and the Prosecutor General’s Office ordered to restart the case so that it can be stopped again under the new rules. “In order to stop the criminal proceedings regarding Sergey Magnitsky we have to get approval from all his close relatives. Investigators have met with Magnitsky’s widow and her lawyer and the latter objected to the prosecutors’ and investigators’ decision about the restart of [Magnitsky’s] case, but the woman reserved the right to decide on the restart of the case of her husband’s rehabilitation,” the police spokeswoman told the press. She added that the immorality of investigators of which Magnitsky’s widow and mother have spoken cannot be considered a legal term. “We face a paradox here – the relatives object to the restart of the investigation but do not give their approval to its stop,” Kastuyeva said. “The proceedings into this case will continue until all close relatives of the deceased make clear what their decision is,” she said. The lawyers representing the relatives of the late Magnitsky said on Friday that they considered the initial prolongation of the investigation unlawful. “The unlawful decision was unlawful from the start,” said Nikolai Gorokhov who works for Sergey Magnitsky’s mother. “If the relatives have not said that they want the rehabilitation [of Magnitsky’s reputation] now, there are no grounds to restart the case and there never were,” said Dmitry Kharitonov, acting for Magnitsky’s widow.